Looks awesome. One question though. Where are you going to put the pits? That's a good question, I've thought about it but I'm still not sure where I can place it. Probably behind the starting gate, there's some room left. 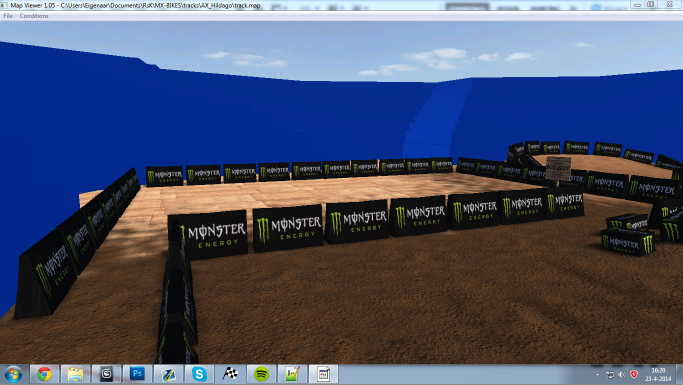 You already figured out how to put in a stadium and I can't even figure out how to texture. Ha. I don't understand the masks and what not. Added some more objects, I need to figure out how to export the tuffblocks with a diffuse map though, since it didn't work this time. 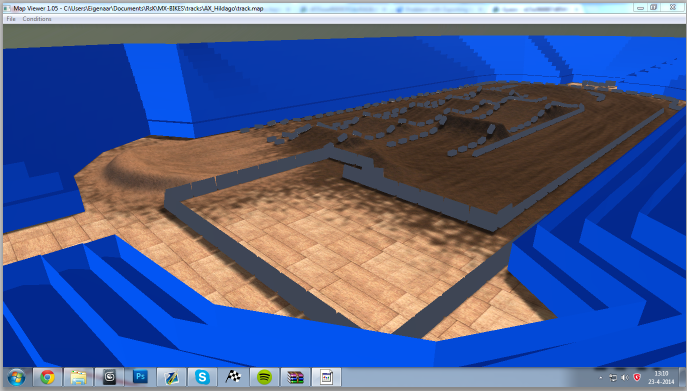 A normal diffuse colour works fine, but a diffuse map doesn't show up for some reason. a diffuse map doesn't show up for some reason. 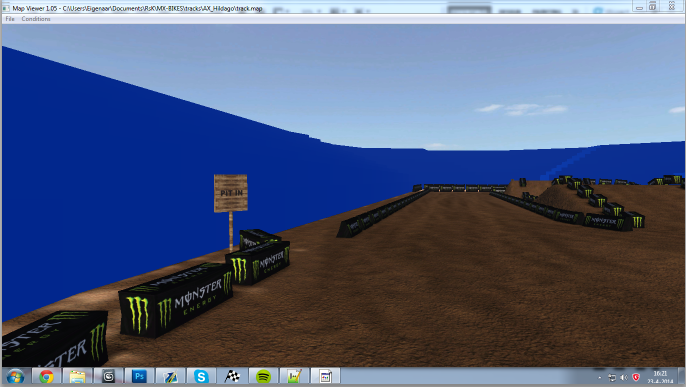 Weird, do you get any warning or errors when exporting the scenery edf? Textures power of 2? Textures are tgas? First of all, I'm not 100% sure if I add textures the right way, so let me explain that real quick. In 3ds max I use a 'Standard' material and add a diffuse map, reflect map and bump map on it (diffuse with the texture, reflection with a speculation map, and bump with a normal map). If I export it as an FBX and have the diffuse, reflect and bump on it, it HAS to be in the FIRST material slot, otherwise I get an error that it the material won't export. 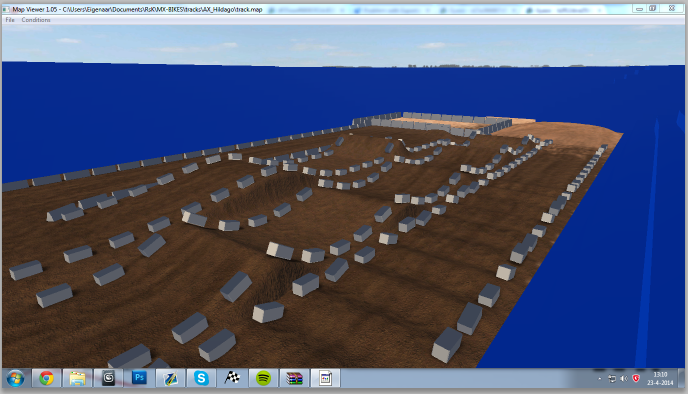 Then after I exported it as an FBX I can export it as an EDF without any problems. The diffuse, reflection and bump maps I use are PNG. I'll try it out with a TGA file extension. Dude. That looks so sick. I can see where you're putting the pits. Are you going to remodel the stadium? Thanks. Yes I'll try to find time and finish up or redo the whole stadium. How did you scale down the outside part of the track? My track is just setting in a huge field. Where's the parameters for that? EDIT- You could probably send what you have to Piboso and snappe so they can have a little ax testing. If they want to/have time to that is. I'm not sure what you're talking about, but I guess it's just how big you scale your track on the heightmap, not sure if that's what you mean though. I'd love that, and I'm sure it'll help them out. If they want it, then I guess I'll get a PM from them. Loving the newest TrackTools update Snappe! I'm glad you got the Splitfire kawi in the game for me aswell! 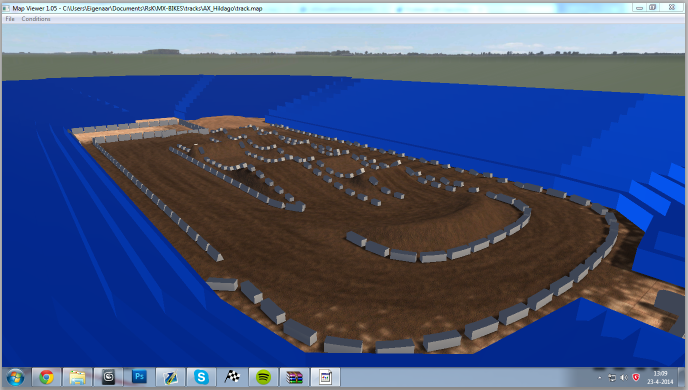 i've got this far but i havent figured out how to delete the old track objects just yet. Looks fun. What's up with the white lines thought? Remove the scenery lines from the .tht then redo the map.bat. thanks man will try that. looks like you used the mask as a texture. but nice disp!